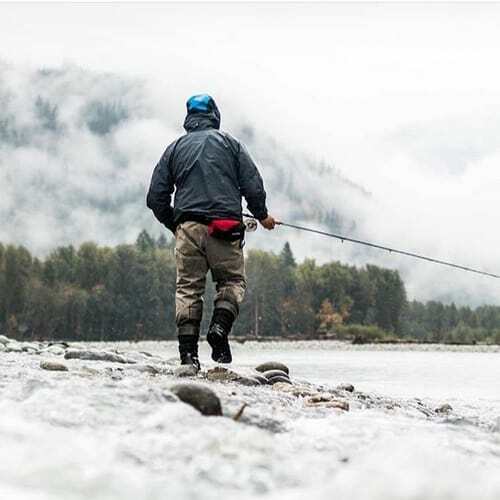 Ready to experience the ultimate wilderness fishing within easy reach of Vancouver, BC? 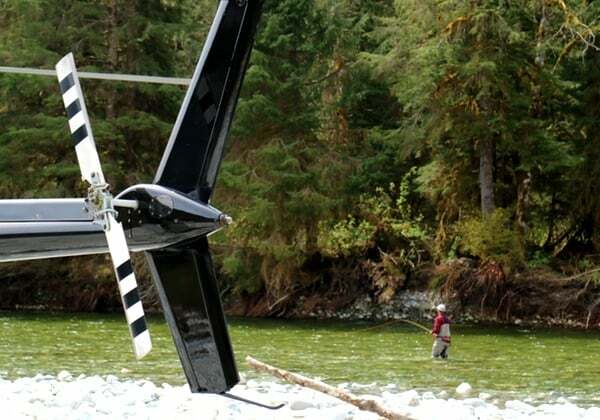 Our BC heli fishing trips are all-inclusive, putting you into the wild untouched rivers of BC’s southern coast. You’ll fish with our expert guide staff and fly with the professional crew Sky Helicopters. 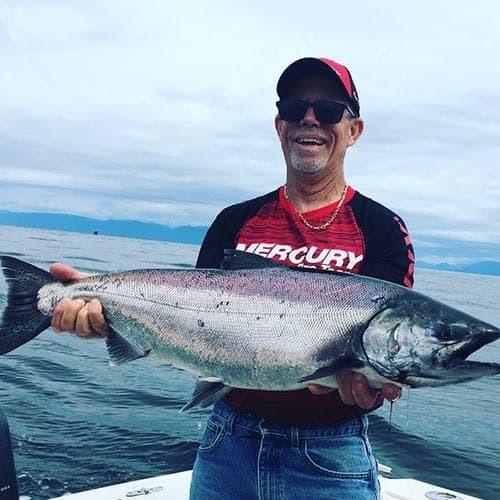 Our full day BC heli fishing trips will put you into the best fishing within an hour of Vancouver and our seamless travel plans will ensure a great day for you and your group. 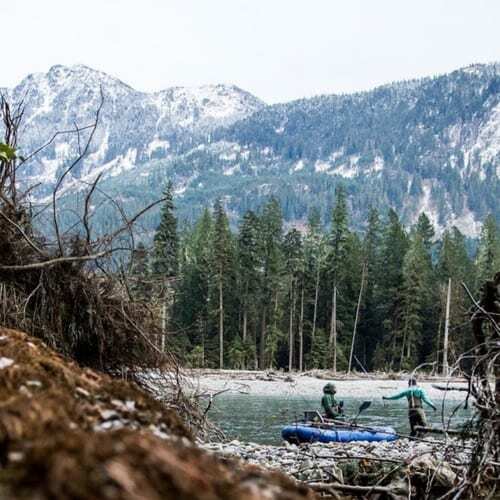 Don’t think you have to travel far to experience incredible fishing in British Columbia. Our BC heli fishing trips are built for the adventure seeker looking for the ultimate BC fishing experience! These day trips include pickup in Vancouver and you’ll soon be on a helicopter flying through the Coast Mountain Range and into untouched stretches of wild rivers. Plan your BC heli fishing trips with Chromer Sport Fishing, we’ll make sure you have a trip to remember. 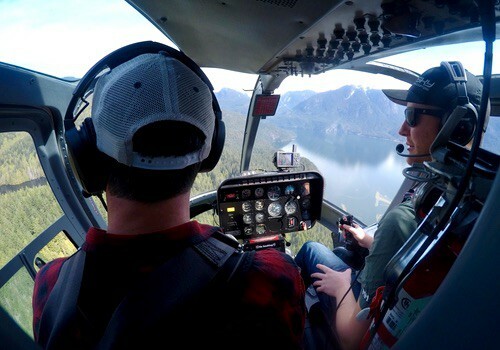 Our fully guided BC heli fishing trips include round trip ground transportation from Vancouver to Pitt Meadows and eight (8) hours of flying and fishing time. Unlike other BC heli fishing trips, ours ensure the helicopter stays with you all day, with the opportunity multiple sections of river. Also included is professional guiding, premium fly fishing equipment, wading gear and lunch. We’ll pick you up in Vancouver and take care of all the details. Most days are 10+ hours, including ground transportation. Not included are fishing licenses, taxes and gratuities. We keep our pricing simple and transparent, prices below are per group in Canadian Dollars. We wanted to offer the best BC heli fishing trips and that’s exactly what we’ve done. 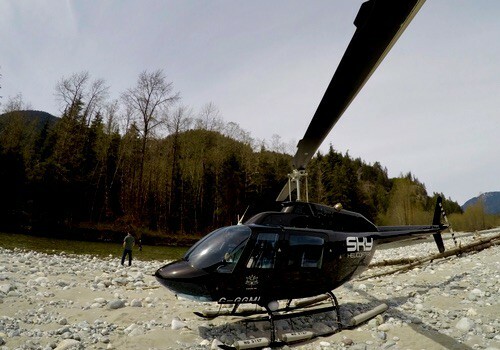 Our partnership with Sky Helicopters has given us ultimate access to the wild rivers and lakes close to Vancouver BC. 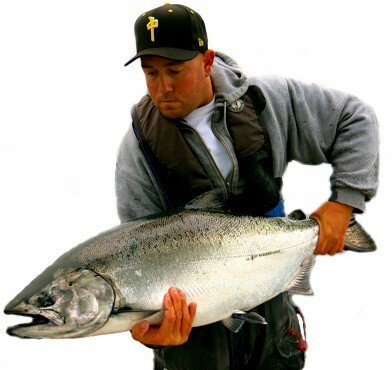 We’ll put you into epic country with our team of Vancouver’s most experienced fishing guides. Unlike other BC heli fishing trips, our helicopters stay with us all day. Beware if you’re shopping around, some trips include a drop-off and then you’re walking the rest of the day. 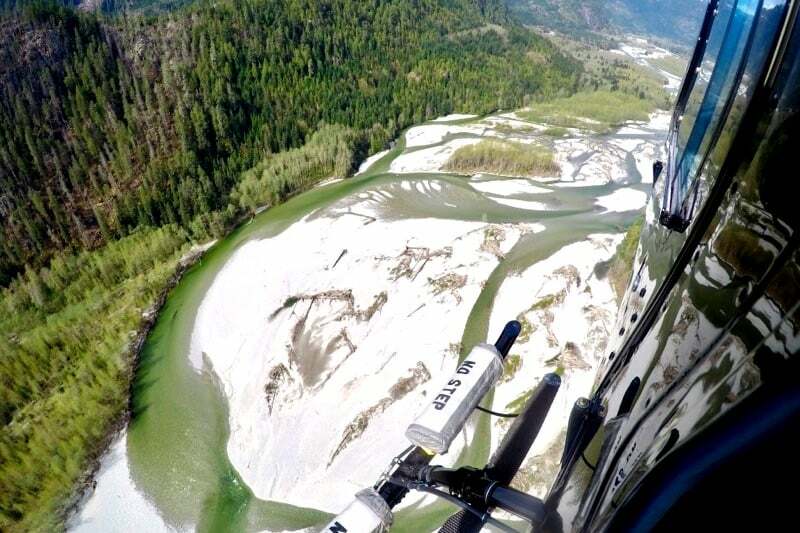 With our BC helicopter fishing trips the heli stays with us all day, dropping us at the best runs on each river. This gives us the ability to maximize your day of fishing and the use of the helicopter. Trips include up to three (3) hours of fly time! 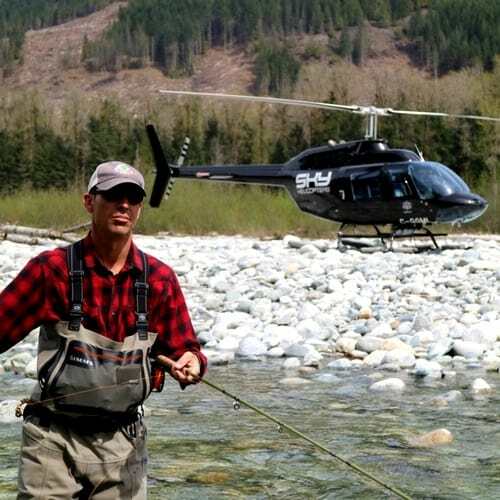 Your day of heli fishing will begin with our guide picking you up at your Vancouver hotel. We generally do a 7:00 AM pickup. 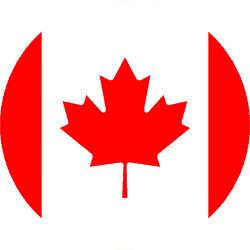 From there you will be driven to the helicopter terminal in Pitt Meadows, located about one (1) hour east of Vancouver. You can also choose to meet us here. 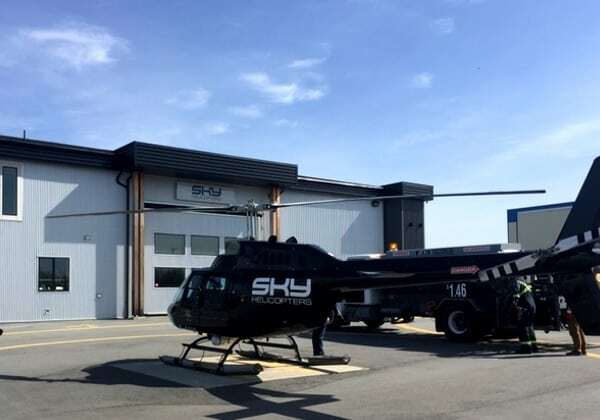 From the Sky Helicopters hanger in Pitt Meadows we’ll load the helicopter and we’re off for the day. 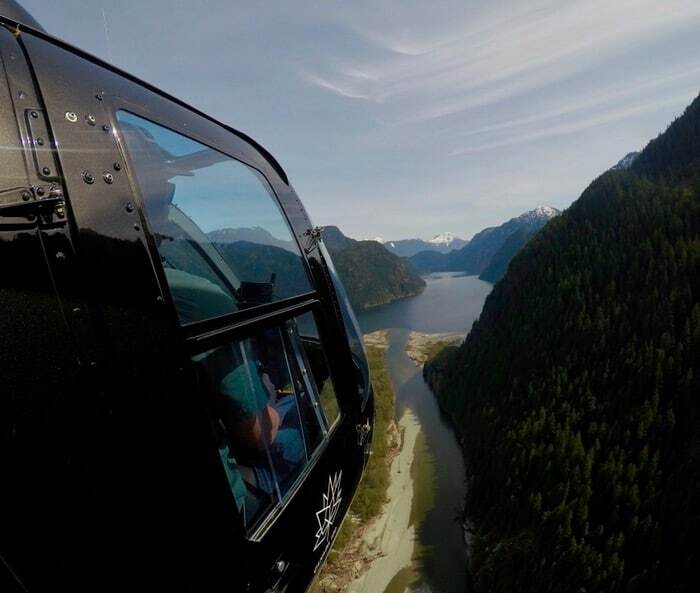 Sky Helicopter’s location gives us access to a variety of remote coastal rivers in southern British Columbia. Heli fishing trips include pickup in Vancouver and ground transportation to the helicopter hanger. Enjoy up to three hours of flying time on your eight hour fishing day. Prime dates for our BC heli fishing trips are April through November. We generally aim to take off around 8:30 AM. Once we depart from Pitt Meadows flying time to the river is anywhere between 30-45 minutes. Your helicopter, pilot and guide are all yours for the day and what a day it will be! You’ll fly through the Coastal Mountain Range and wade into stunning wild rivers. Trips include up to three hours of flying time so we can access a variety of different sections of river on your day. 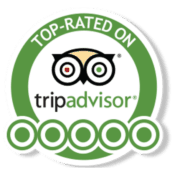 All fly fishing equipment and expert guiding is included. You’ll enjoy a riverside lunch around midday. Take in the sites as you fly back to the helicopter hanger. From there your guide will drive you back to Vancouver. For Squamish or Whistler heli fishing trips please contact us for their specific itineraries. HELI FISHING TOO EXPENSIVE? CHECK THIS OUT! 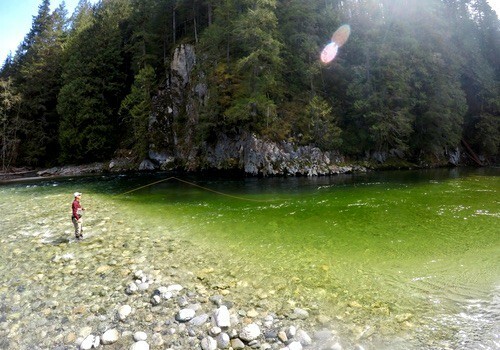 No problem, we have other Vancouver fly fishing trips that are more affordable.